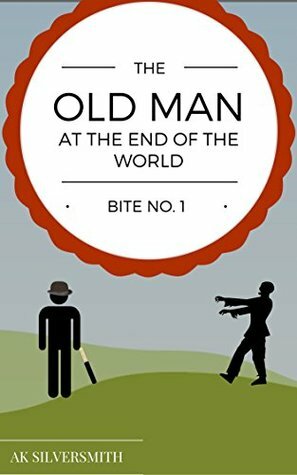 The Old Man At The End Of The World is a short story, and the first instalment of a zombie comedy series by AK Silversmith. The plot is simple: 87-year-old Gerald Stockwell-Poulter was simply tending to his allotment when his neighbours, who have been turned into zombies, attack. The ‘zompocalypse’ – that’s zombie + apocalypse – has begun. I thought this little story was brilliant – there wasn’t too much description to weigh down the plot and the dialogue exchanges between the characters was fast-paced. This allowed for quirky comments and sarcastic quips, which added to the humour of the overall novella. Comedy was conveyed well, and the mix of jokes, zombies, and a stereotypical British setting reminded me very much of Edgar Wright’s ‘zom-com’ film, Shaun of the Dead, starring Simon Pegg and Nick Frost. The Old Man At The End Of The World even has jokes about a Bentley too! This is a considerably shorter book review, for a considerably shorter book. I thoroughly enjoyed this short read, and it had me chuckling and smiling throughout. If you liked Shaun of the Dead, I think you’ll really enjoy this! I look forward to reading Bite No. 2, the second instalment of this series. Now, as Gerald’s life takes a quick turn for the worse, he must do things he has never done before. After 87 largely well-behaved years as a model citizen, less than four hours into the ‘zompocalypse’ and he has already killed a neighbour, rescued a moody millenial drug dealer and forged an unlikely allegiance with a giant ginger Scotsman. And it isn’t even tea time. The first installment of the Old Man at the End of the World Series. A novella of 20,000 words. Blurred Reality is a short coffee break story about forgiveness. When Duncan receives a phone call from his brother saying their father is in hospital, it brings back memories from the past. In a series of snapshots we learn more about the relationship Duncan had with his father and how bitter he felt. The ending shows there is perhaps hope for all. Mark thinks he’s making progress with Bethany, the girl he’s had a crush on for years, but his texts and emails don’t seem to be having the desired effect. Ever since Mark drew the heart on his hand he’s been receiving hand written notes from an unknown source, with advice on how to win Bethany back by writing traditional love letters. This is a lovely, well written narrative with strong messages; love lives on and if a heart is set on someone special, the relationship is more than worth the thought and effort that goes into it. The underlying story of Mark’s grandmother is an emotional one, the last chapter is very moving and powerful, bringing everything to a wonderful conclusion. I enjoyed the slightly different slant on the supernatural aspect very much. And who wouldn’t love a hand written love letter as opposed to a quick text or email. The story has thought provoking content and it would be an awful shame if this creative skill and expressive method of communication is lost completely. A charming novella about the power of words in love. Mark is not a good student, and his inability with words leads to his new girlfriend cooling off his advances. Drastic action comes in the form of notes that seem to directly apply to him… and guide him towards reigniting Bethany’s love. Although short, this story packed quite a punch in the form of charm, drama, and life messages. Part magical tale, part coming-of-age, this is beautifully written short fiction. Caribbean Heat is the 5th book in the Baby Girl series of short stories. I do recommend reading them all in order or this book will not mean as much to the reading experience. The book does begin with a short recap about how the story began back when Cleo was just twelve years old. This book is based in the Caribbean, Cleo now lives on the island of St. Thomas. Her father figure ex employer PI La Tige arrives for a short vacation. He offers Cleo a job helping him solve a case. Titled “The Black Widow” La Tige wants Cleo to follow Ashla and discover more about her. She uses her own investigative skills to plant a GPS signal and cameras in Ashla’s room. 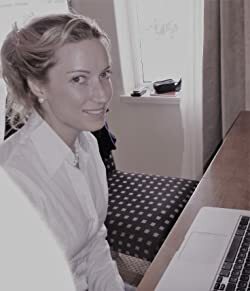 Ashla is here to meet Alberto Salazar for a romantic break, is he her next victim or is there a darker secret to discover? When Cleo can’t get hold of La Tige after he returns home, her concerns rise. One evening Alberto reveals some frightening details about Ashla, add to this the missing La Tige and Cleo jumps on a plane to go to his rescue. 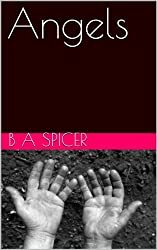 What she finds there is a cold and calculating kidnapper. This book ends on a huge cliff hanger which, so far didn’t work for me, I felt it was all very rushed and I have doubts about the practical details hinted at by characters at this point, I believe all will be revealed in the next book. Out Of Control is a short story at just 70 pages long. Clues as to the era the book is set in are gently given and I surmised it was pre-mobile phone era in a winter’s night in the UK. I didn’t discover the actually time setting of this book until I read it in the book description. It’s the winter of 1962, Mary and Ed are on an errand to deliver a last bottle of precious wine to Ed’s dying father. Mary is heavily pregnant and they plan to leave shortly after visiting Ed’s father and travel to France where a private clinic has been arranged for the birth of their child. They have a car accident which they fail to report and as they stay in the remote “Crow’s Watch” house, sinister events build and Mary turns to madness. This is a quick easy read. Trevor Belshaw, aka, Trevor Forest, is a writer of both adult and children’s fiction. He lives in Nottingham, UK with his mad Springer Spaniel, Maisie. Trevor is the creator of Tracy’s Hot Mail (Crooked Cat Publishing,) and has recently released a noir novella, Out of Control. Writing under the name, Trevor Forest, he has published fourteen children’s books including the Magic Molly series, The Stanley Stickle series, and Peggy Larkin’s War. This gripped me right from the beginning and I read the whole story in one sitting – very unusual for me however much I love a book because my life is horrendously busy! But I was so drawn in that I had to read on. This story sensitively and yet honestly portrays the lengths mothers will go to for their children and the emotional depth there is behind a mother/daughter relationship. I won’t say too much for fear of spoiling the story, but as a mother it spoke to me, and I identified so closely with the main characters that it was actually quite unsettling. And that goes to show what a talented writer B A Spicer is. The writing is beautifully crafted, the characters really well drawn for such a short piece. I do think this story has real potential to be developed into something much longer. My Grandmother’s message is a short read of just 14 pages long. It is about a student called Ariel who loves looking at family photos, particularly those of her Grandmothers and their Mothers and Grandmother’s. When Ariel is involved in a car accident she has an out of body experience where she meets her relatives who kindly send her back with messages of love and support. This is a cute storyline full of positive experiences, I would like to have seen a range of emotions, especially from Ariel’s Mother who is calm and happy when her daughter returns from a coma. A wider storyline would also add reader interest to this. There’s not a great deal to sink your teeth into with the length of this book. I received this book from a competition win and knew nothing about it before I opened page 1, I try not to be influenced by other reviews and like to dive right into a book. From the title I guessed it might be a murder mystery, but I was completely wrong. The setting is Phoenix Arizona 1967. Pam Simpson is an angry 12 year old. It’s the summer vacation and she’s been asked to stay at home and mind her younger brother, when she’d rather be down the Mall with her friends. To make matters worse it’s been arranged that her annoying cousin, Candy is being dropped off “to play” too. They plan to go to the local pool, it’s a long walk which can be shortened by a quick float down the canal on tyre inner-tubes. I thought this was a great initiative of the kids and delighted in Candy’s disgust at the debris and colour of the canal. I’ll not divulge any more just to say I was settling down to a good read when all of a sudden the book ended. What? I wanted to yell, where’s the rest? My only hope is that this could be one day turned into a novelette. Just 14 pages wasn’t long enough for me. 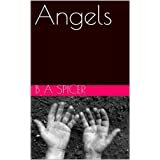 Vanessa chose to read and review Angels by Bev Spicer. 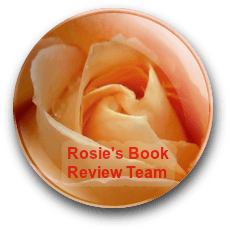 “I found out about this free eBook via Rosie’s Book Review Team, and decided to give it a go. To be honest, even though it was well written, it was too short for me. I also found the subject matter really sad, but like the way it linked to another story. However, the message was a good one. Death can seem like a solution, but it rarely is. Life is hard and unfair at times, but it is worth fighting for. Saying this, I can’t imagine how I would feel if I lost my child. Bullies are the worst!